Anthony Mackie net worth and salary: Anthony Mackie is an American actor who has a net worth of $8 million. 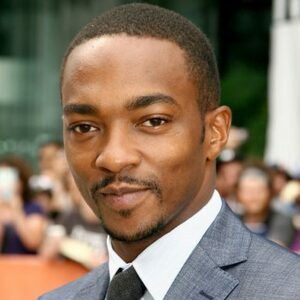 Anthony Mackie was born in New Orleans, Louisiana and graduated from North Carolina School of the Arts. He then went on to graduate from Juilliard in 2001. While still a student at Juilliard, he played Tupac Shakur in the play, "Up Against the Wind" in New York. After graduating, he was cast as Don Cheadle's understudy in the Off-Broadway production of "Topdog/Underdog". He then starred in the play, "Talk", and subsequently won an OBIE Award for his work. He made the transition to film work in 2002, appearing in the film, "8 Mile" opposite Eminem. Since then, he has appeared in such Off-Broadway and Broadway plays as "The Bacchae" and a "Behanding in Spokane", and in such films as "Brother to Brother", "She Hate Me", "Million Dollar Baby", "Half Nelson", "The Hurt Locker", "The Adjustment Bureau", and "Real Steel". One of Mackie's most lucrative roles is as Wilson / Falcon in Marvel Universe movies like "Captain America: The Winter Soldier", "Avengers: Infinity War" among others. In 2020 he will appear in a lead role in the second season of the Netflix series "Altered Carbon".